In deep fat fryer, heavy saucepan or 12-inch cast-iron skillet, heat vegetable oil over medium heat to 350°F. Separate dough into 8 biscuits; flatten slightly. Using small cookie cutter, cut hole out of center of each biscuit. 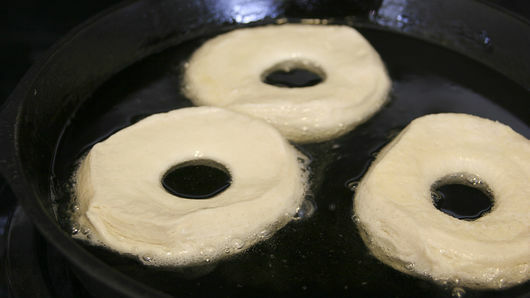 Fry 2 or 3 biscuits in hot oil until golden brown, then turn over and cook other side. Remove to cooling rack. Repeat with remaining biscuits and doughnut holes. To make glaze, place glass bowl over pan of simmering water. 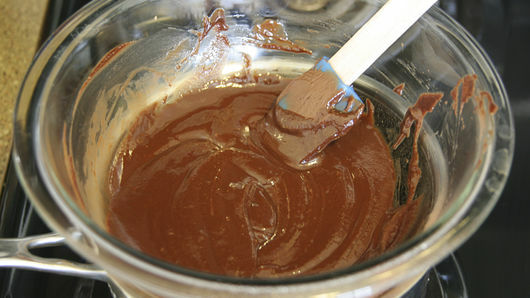 In bowl, melt chocolate chips, butter and corn syrup, stirring until smooth. Stir in vanilla. 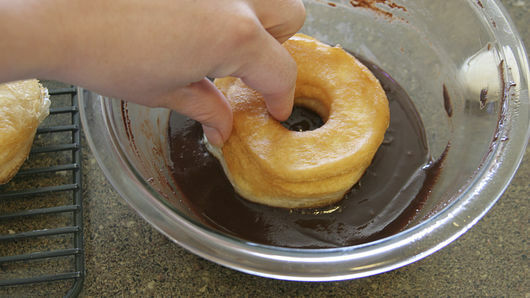 Dip top of each doughnut into chocolate glaze. Immediately sprinkle with chopped candy. Make it even easier by using prepared frosting that has been heated slightly. 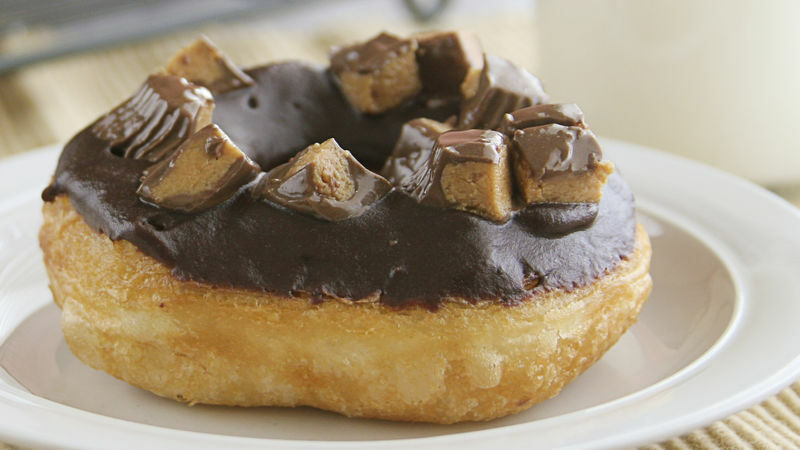 Use your favorite candy bar or a mixture of a few of them!